South Africa: As Andile Ramaphosa's Link With Bosasa Grows Deep, What Kind of Damage to His Father? 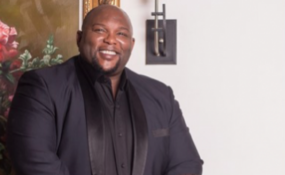 On Wednesday it emerged that Andile Ramaphosa has had a much closer financial relationship with Bosasa than previously thought. In total, he received around R2-million from them through a deal involving the implementation of technological solutions to petrol stations in Uganda. This is likely to raise questions about whether we know the full extent of the financial relationship between his father, President Cyril Ramaphosa, and a company that has appeared to pay millions to senior ANC figures. More questions will be posed about President Cyril Ramaphosa's probity. At the same time, questions will be raised about the perceived corruption in our politics generally, and of course, whether this will impact the election in any significant way. The connection between Bosasa and Andile Ramaphosa - that the company gave what was described first as a "loan" to Andile Ramaphosa, the president's son, that was then used for his ANC leadership campaign war chest - is already well-known to South African public. The matter is before the Public Protector, Advocate Busisiwe Mkhwebane (who is also involved in a dispute with Ramaphosa's State Security Minister Dipuo Letsatsi-Dube over an intelligence document).